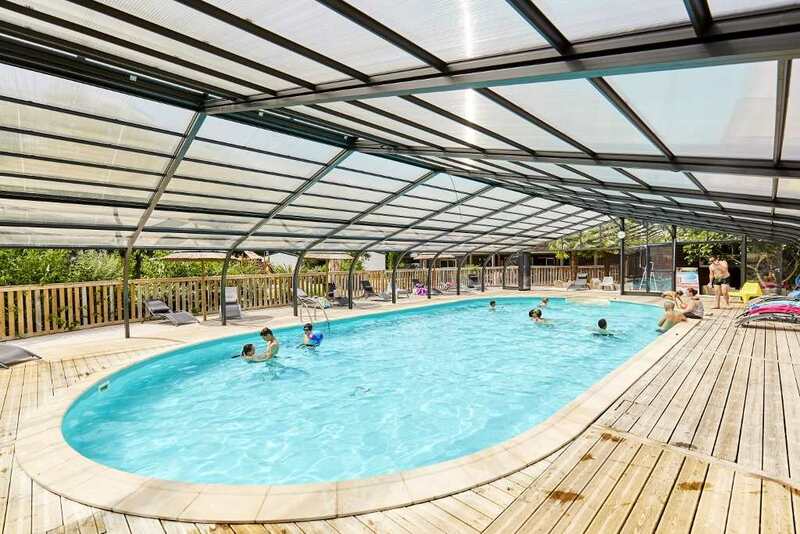 Our campsite Lac de la Chausselière offers a swimming pool COVERED and HEATED. What better ? Enjoy a moment of relaxation, heated water, spacious and spacious space. With family or friends, enjoy the sun loungers to read a good book borrowed from the reception. 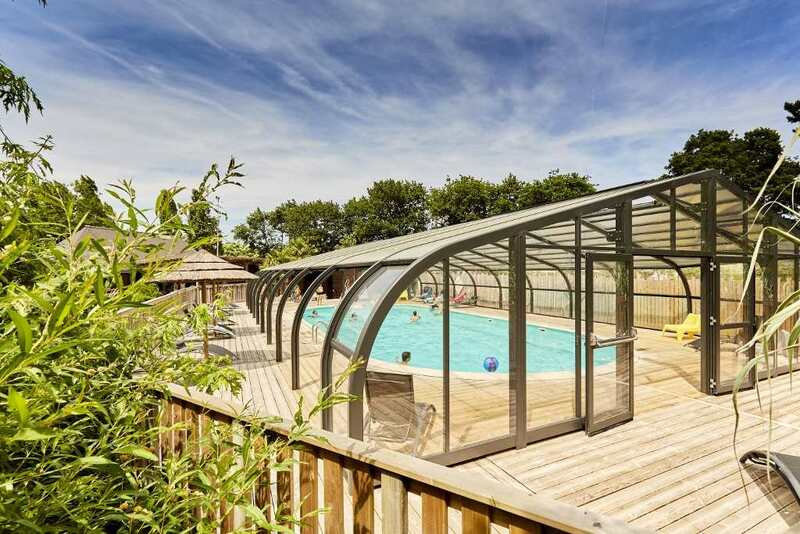 Never mind weather, enjoy our swimming pool. We offer you the privilege of sharing a moment of conviviality and entertainment every Friday evening of July and August during the night. The pool stays open until 22H. On the program, discover activities of water polo and water games. Good atmosphere guaranteed! • Note: Children are supervised by parents. • Obligations: For hygiene reasons, swim shorts are forbidden. Shower obligatory before entering the water as well as the passage through the footbath. • Depth of the basin: from 1m20 to 1m50. 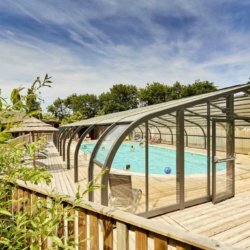 • The swimming pool is STRICTLY reserved for the clientele of the campsite. Any outside visitor can not access it. Enjoy this fun and harmonious space!